I can’t believe it has been two months and I have only just managed to get this post ready. End of May finally saw me visiting Tel Aviv for the first time (well if I say me, I mean me, my colleague and one of our clients). And whilst I was really looking forward to it (after all, a trip to Israel had been on the radar for a full year now, so expectations had been building up high), I was a little uneasy at the same time. Not really sure what to expect. How should I dress for a trip to Israel? Is there anything I should be aware of before travelling to Israel? Looking back, I almost feel like laughing at myself. The minute we arrived at Tel Aviv, we realized loads of our concerns were completely unnecessary. We were greeted by a very modern and vibrant city with a rather diverse population, open and welcoming. To save you the headache when preparing for your first trip to Israel, let me put together a few key points on how best to prepare. 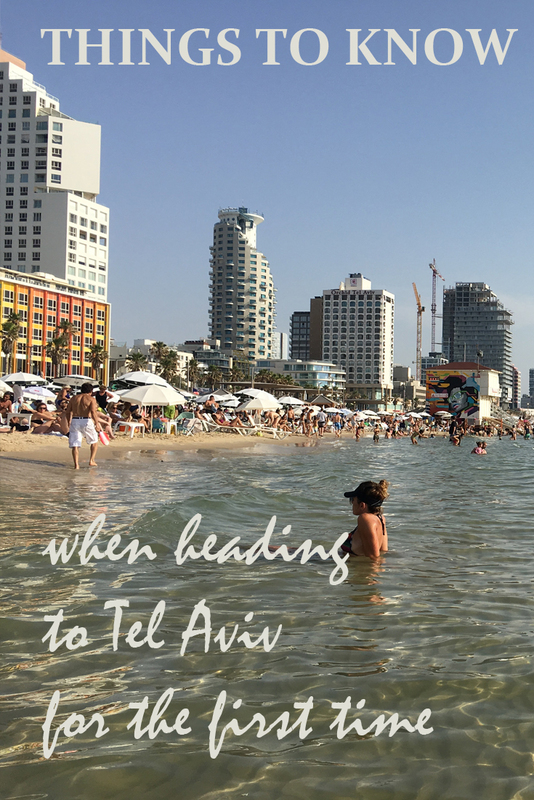 Visiting Tel Aviv for the First Time: Is it safe to travel to Tel Aviv? Trick question. Obviously I cannot guarantee that you will be safe at all times. Same as I cannot guarantee that anywhere else either. So I’d say yes it is safe to travel. Or at least it seemed safe to us. As with every other large city, it is probably advisable to be a little cautious and keep an eye on your surroundings. Same as you should do if you were to visit London, Paris or Berlin. Watch out for random bags, suspicious behaviour and pickpocketing. But this is general travel advice stuff really. Other than that, it didn’t feel as if I had to be on guard all the time. Just relax and have a good time. What really got me the first day was the activity at the beach. With our hotel right down by the water front, it didn’t take us long to dump everything in the room, change into summer dresses and head to the water. And with it being a bank holiday in Israel that day, the beach was packed and felt very much like a proper beach holiday destination. Second thing that got me was how little police and army you would actually see. Somehow I expected a lot more presence everywhere. And to be fair, there might be more in other parts of the country, I don’t know. But there sure wasn’t in Tel Aviv. Yes there were a few armed police at the airport and you would spot a soldier or two around town, but not in huge numbers and not very much in your face. As far as going out in the evening is concerned, even as two ladies on our own, we didn’t have any problems or felt particularly unsafe. The beach promenade was crowded with people and street performers day and night anyway, loads of young people going out, sitting in one of the beach bars with a drink or a shisha, music playing. Visiting Tel Aviv for the First Time: How should I dress for a trip to Israel? To prepare for my trip, I did some research in form of reading up on various travel blogs (since I very quickly worked out that there aren’t any travel guide books just for Tel Aviv and I couldn’t quite get myself to buy one for the whole of Israel, if I were to only visit one single city), as well as checking the travel advise on the Gov UK website. One of the things I was most unsure about (well the safety aspect aside) was how to dress correctly. As this was a work trip, I knew I would have to attend meetings as well as visit several dealerships. Overall a fairly male dominated environment. So how should I dress as a woman? The Gov UK website mentioned things like ‘to dress modestly’ and ‘not to wear trousers’. Which wasn’t really my idea of dressing for 30+ degrees and measuring up workshops. To be on the safe side, I bought a long floaty summer dress a couple of weeks ago, which I hoped would be considered modest enough (although it didn’t really have long sleeves, but with a cardigan on top, it should hopefully do the trick). And just for good measures I bought a second long floaty dress the week before the actual trip. But whilst these were fine for the evening, I really didn’t fancy wearing those dresses to visit workshops. So I packed two proper pencil skirts (and tights, because you really want to wear tights when it is hot), along with several pairs of trousers and a huge selection of blouses and tops (of various sleeve lengths) and hoped for the best. And I am glad to report that I needn’t worry at all. In Tel Aviv everything goes. The moment we arrived at the beach promenade, we realised that covering up wasn’t big on anyone’s agenda there. And even during work meetings everyone’s style was very relaxed and casual. Well suited for the temperature. And as some of our clients were also women, I was glad to see that they would show up in summer trousers and short sleeved tops as well. So nothing to worry about. Needless to say, I did not wear the skirts or the tights and also half my tops and blouses came back with me unworn (but then again, we were only there for six days and I had packed probably 10 tops, so it wasn’t really a massive surprise that I didn’t wear them all). But whilst it seems anything goes in Tel Aviv, I would probably still advise on bringing something a little more modest and maybe a scarf, so you’d be able to dress accordingly and cover up if you go to areas that are more conservative or if you visit any religious sites (but then, this is the same if you visit any of the big cathedrals in Italy for example). If you hold a European passport and you visit Israel as a tourist or if you visit Israel on business, you will not need a visa, as long as you don’t stay for longer than three months. If you have been to other states in the Middle East before, you might want to check the stamps in your passport to ensure that none of those will cause any issues when entering Israel. If in doubt, it might be worth getting a second passport issued. 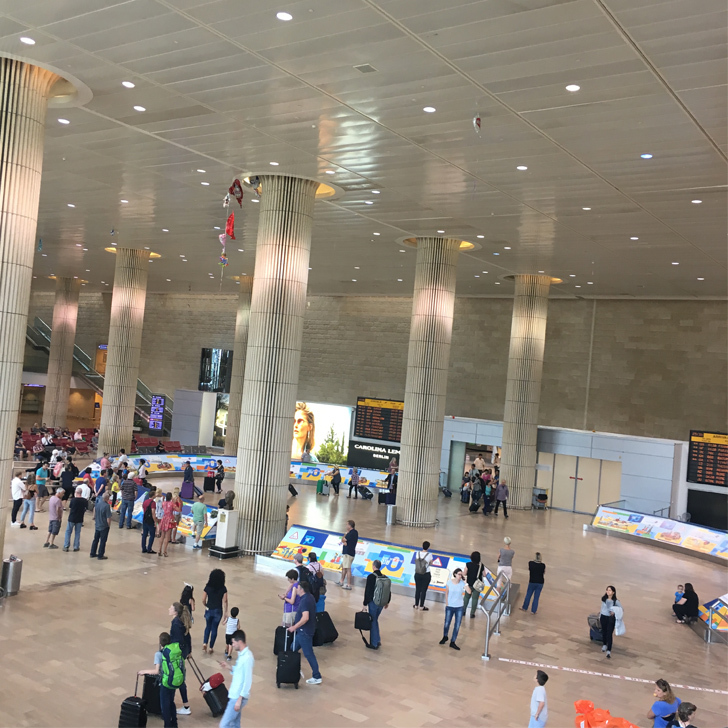 When arriving at Tel Aviv airport, your passport will not be stamped. Instead you will receive a B2 Stay Permit on a separate piece of paper that you will need to keep with your passport and show again when leaving the country (so best not to lose it… just to be safe we all snapped a photo of it, the minute we got out of passport control). Before our trip I’ve read several posts and articles about safety checks when travelling to Israel. You were advised to show up extra early at the airport (absolute delight if you have an 8am flight on a Sunday morning, of course you want to arrive at least three hours before) and to prepare for long interviews and security checks before you even make it onto the flight. Being well aware of Heathrow procedures I couldn’t quite work out how this was supposed to fit into their normal routine, but didn’t want to chance it and arrived extra early regardless. Why are you here? Business. No further questions, no further explanations. On the flight back, it was a different matter though, but we’ll come to that later (in a different post). Firstly check the weather forecast and dress accordingly. In case you didn’t know, it can be hot… proper hot. We went end of May and it was 35 degrees during the first two days. We were assured though that this was unusual in May. But at the same time we were told that we shouldn’t really expect any rain for the next few weeks or months. So no need to pack your umbrella (what a very un-British thing to say). Don’t worry if you don’t speak any Hebrew. Most Israeli we’ve encountered (especially the younger ones) spoke very good English, making it easy for us to communicate. However ‘Shalom’ (hello) is a good start to any conversation and not that difficult to memorise. If you are taking any electronic items on your travel (and who doesn’t nowadays), be advised that Israel has different sockets. Therefore UK plugs won’t fit. You can buy a plug adaptor, which is good for Israel and a few other Middle Eastern states. 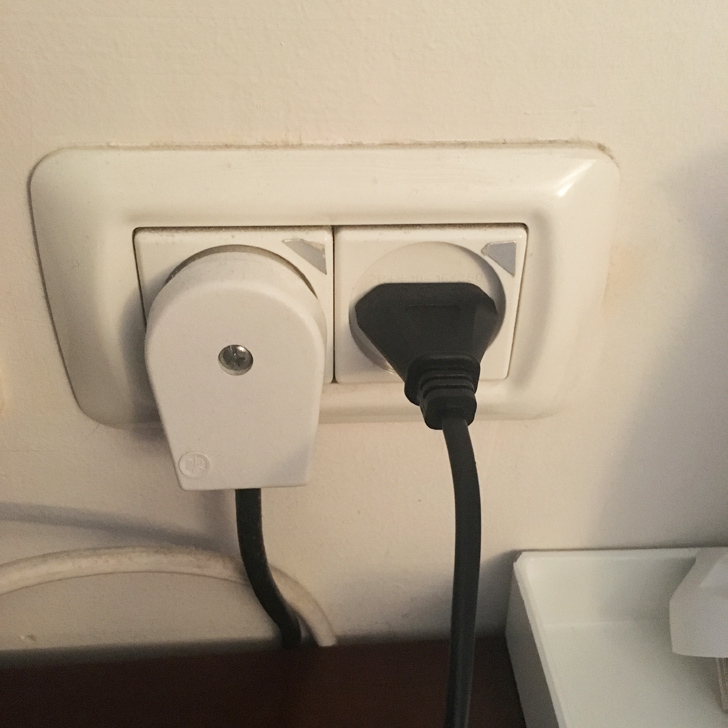 However if you happen to have a European plug adaptor (or like me are using European plugs when travelling), then don’t waste any money on a special Israeli plug adaptor that you won’t ever need again. 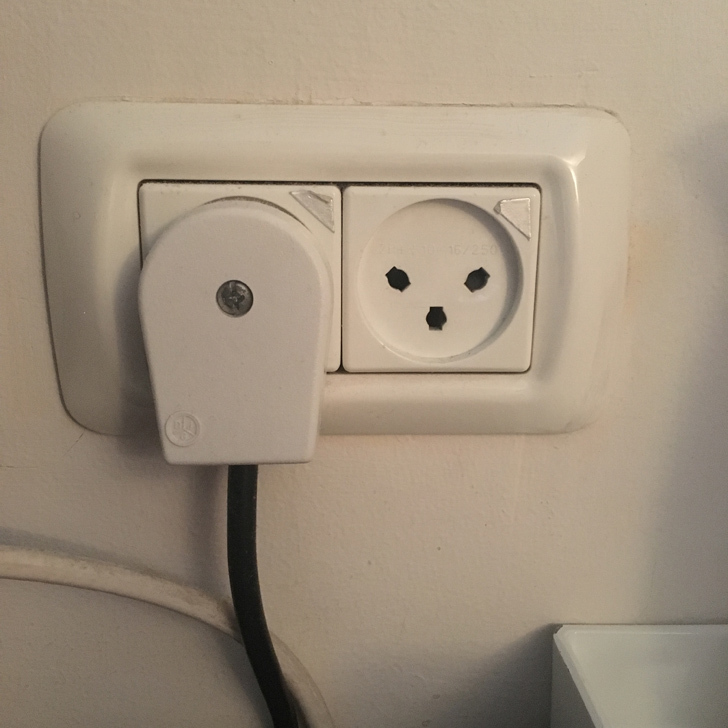 Even though the Israeli plug has three prongs (it looks a little like the Swiss ones), the European ones fit just fine, leaving the third hole empty. Not a problem. It doesn’t even involve the use of a popsicle stick (if you are based in the UK and ever tried to fit a European plug into a UK socket, I am sure you understand what I am referring to). I am talking about the thin European plugs here though. The round ones won’t fit at all. Currency in Israel is Israeli New Shekel (ILS), which is roughly 5 to 1 compared to Sterling, however US Dollars seem to be widely accepted as well (at Tel Aviv airport everything in the duty free shop was priced in US Dollars). Similar to the UK, credit cards are accepted almost everywhere and I was even able to pay contactless for my postcards in one of the small corner shops along the promenade. The only place that seems to only accept Visa and no other credit card was the actual airport (who would have thought… of all places). Overall Israel isn’t cheap. Although Israelis seem to eat out a lot, prices in restaurants are high, even by London standards. A nice dinner out can easily set you back 40-50 GBP a head. Service standards are high in Israel, so expect top-notch service, but please be prepared to also pay for it. Advice is to add around 15% tip to your bill. I can’t really offer any advise on public transport in Tel Aviv, since we did not use any at all. Instead we took cabs everywhere, including to and from the airport. Overall prices for cabs were reasonable, although they seem to vary. To the extend that the cab from the hotel at Tel Aviv Beach to Jaffa Harbour cost us 62 ILS (which is around 13 GBP), the cab back from Jaffa later that evening only cost us 28 ILS, so less than half. Yes the trip back was a little shorter, as we fancied a walk along the promenade, but we sure didn’t walk half the distance. Most cabs accept credit cards, however you will have to tell the driver before you start the journey, otherwise they might not have the correct system running to accept card payments (or at least that was the story we were told). Using Uber also works well (and obviously saves you the embarrassment of trying to pronounce any addresses). The trip from our hotel at Tel Aviv Beach to the airport set us back 190 ILS, which is around 40 GBP and took just under 30 minutes (but this was early morning, I suspect it would take longer once you hit rush hour). 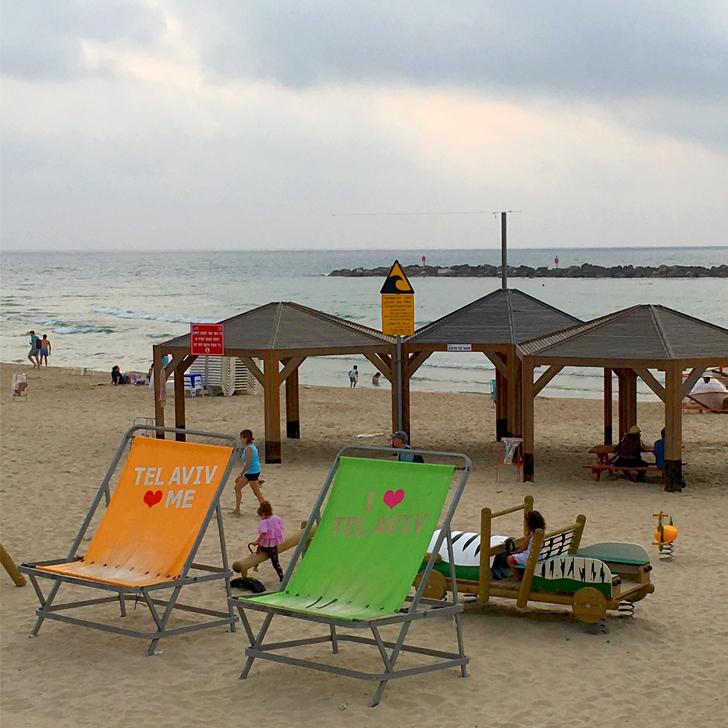 Now that the basics are sorted, maybe you’d like to find out what there is to see and do in Tel Aviv? Have you ever been to Israel? Any advise to add?